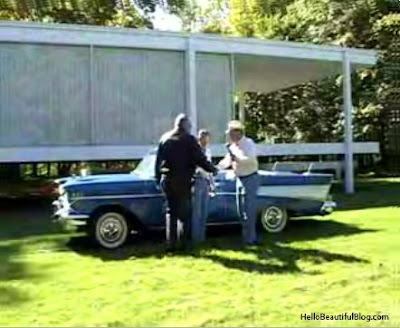 A ’57 Chevy visits the Farnsworth House – video! Click the arrow to put the video into gear. The architecture begins after 4:00. 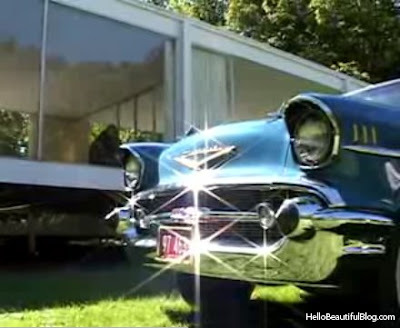 Lord Peter Palumbo, who used to own the Farnsworth House (that is not him in the video), also loved and collected vintage cars. Funny to me how the ’57 car looks so dated and the ’51 house so timeless. Yeah. A basic ’50’s house. Almost everybody had one, didn’t they? And who are the unidentified strangers going about their business in the house? The Palumbos? Or the plumbers? You are currently browsing the archives for the Chevrolet category.